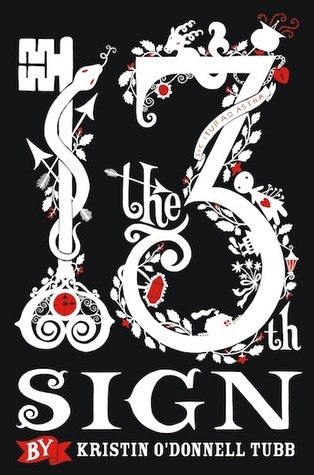 The 13th Sign by Kristin O’Donnell Tubb was an interesting read, to say the least. Set in New Orleans, we follow the coming of age story of a teenage girl named Jalen. After many hardships with personal family issues, and the normal “teen angst” many of us feel at that age, Jalen gets the chance to experience another life after her and her friend Ellie unlock the secret of the 13th zodiac sign (Ophiuschus). Throughout the book, we read about Jalen conquering fears and battling the twelve members of the zodiac to undo the personality changes she caused to people all over the world, including the ones she holds dearest to her. I feel this book was perfect for the age range it’s obviously targeting (middle-school/young adult). It’s a decently paced book with action scenes that aren’t too gory. Also, it touches base on personal life issues that remind us that no matter how things are going in life, the alternative may not be too glamorous. Most people won’t realize how strong they are until they have no other options, as Jalen shows the readers in an inspirational way. Disclosure: All opinions are my own. I received The 13th Sign at no cost for the purpose of this review. No other compensation was received.